This is a beautiful watch. Very well, you can wear it casual or dressed down! I absolutely love this watch.. This user was entered into a sweepstakes after submitting their honest review. Fossil's founding principal of bringing fashion and function together is visible in their unique styles. 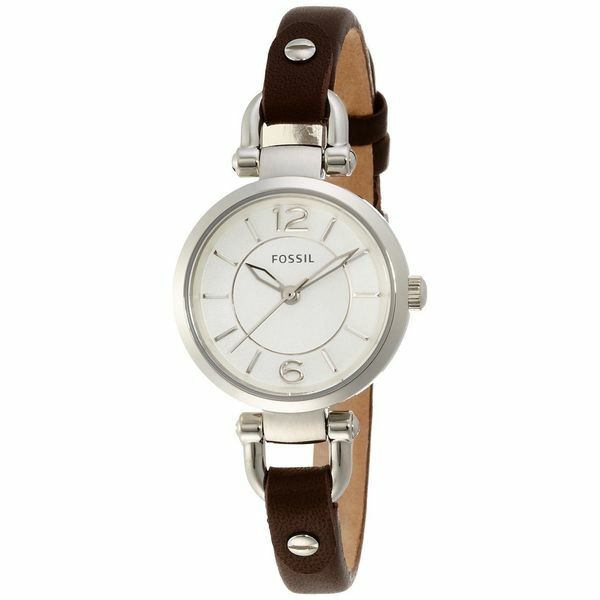 This women's watch from the Georgia collection features a brown leather strap and silver dial. This is a beautiful watch. Very well, you can wear it casual or dressed down! I absolutely love this watch..
Love the look of this watch. It's a great watch. This was purchased as a gift and she loved it. great time piece for work or play.